Some neighbors Tuesday night are going home with a hope of having a way out of the Jones Walker apartment complexes. City officials say the apartments, between Michigan Avenue and Martin Luther King Jr. Boulevard, aren’t safe for some of the residents, and it’s time for them to get out. “Jones Walker is a moral disgrace,” said council member Johnny Streets. 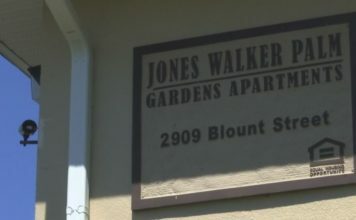 Neighbors broke out in applause at Tuesday’s city council meeting after officials said apartments at the Jones Walker building are inhumane. Lee says she’s tired of living with mold and seeing crime on every corner. “Walls so soft and mold everywhere, roaches, oh my God I can’t even explain it to you all I can say is just spend a night there,” Lee said. Other neighbors say they’re dealing with roaches and unwanted pests. Council members agreed and unanimously approved a motion to allow City Manager Saeed Kazemi to request 80 housing vouchers from HUD. Vouchers for people living there would help them find a new place. Mayor Randy Henderson reiterated that HUD has jurisdiction, not the housing authority. Kazemi added that if the city could, the vouchers would happen right away. “I’m happy and scared at the same time,” Lee said. But as a single mother, Lee says she has mixed emotions about her next step. 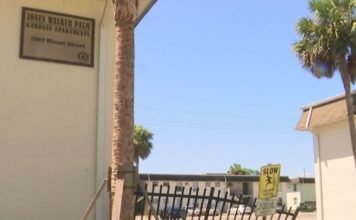 Neighbors say they still need to figure out where they would move to next, but officials say if they get the vouchers, neighbors can begin to move out immediately.